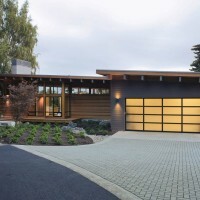 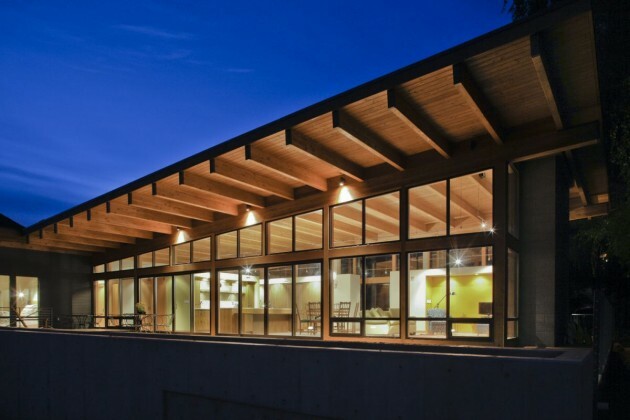 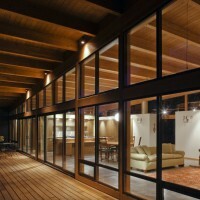 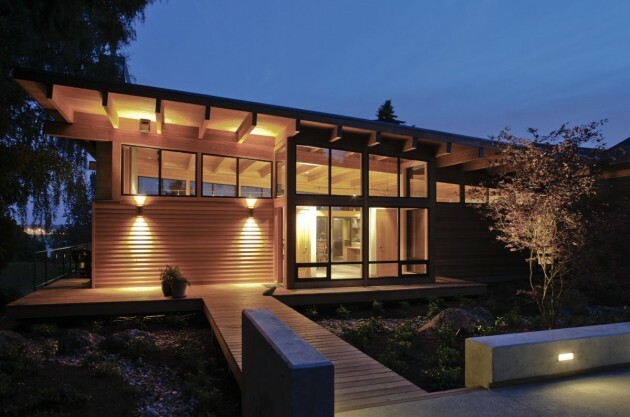 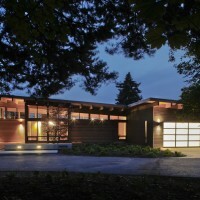 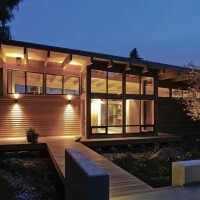 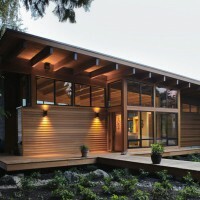 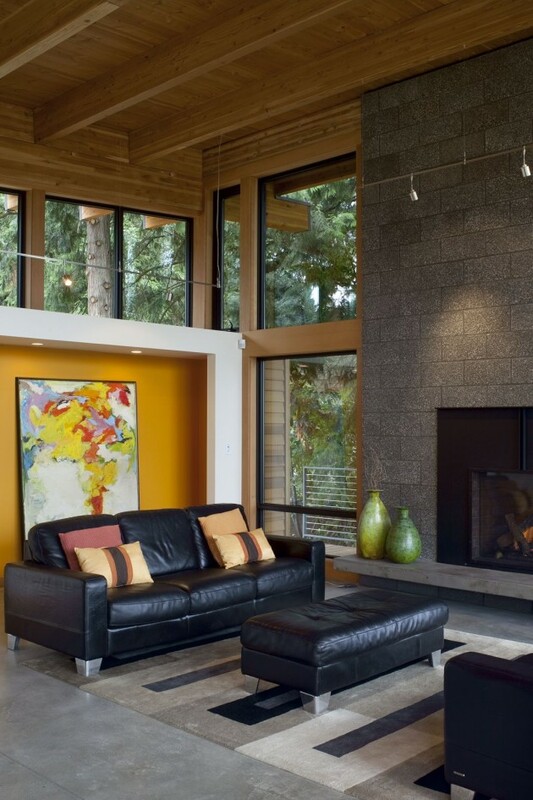 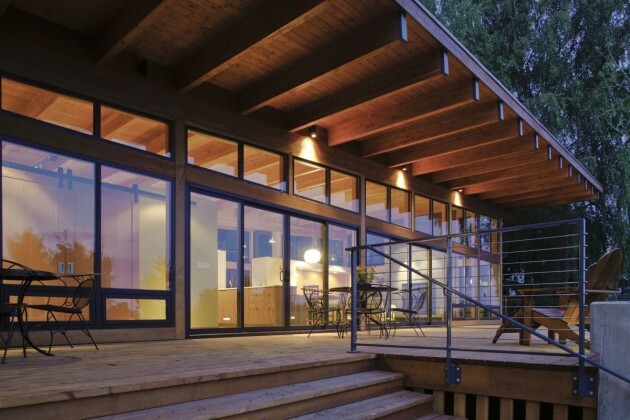 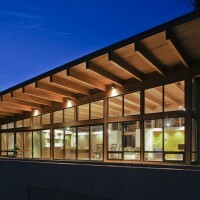 Scott Edwards Architecture designed the Hotchkiss Residence in Vancouver, Washington. 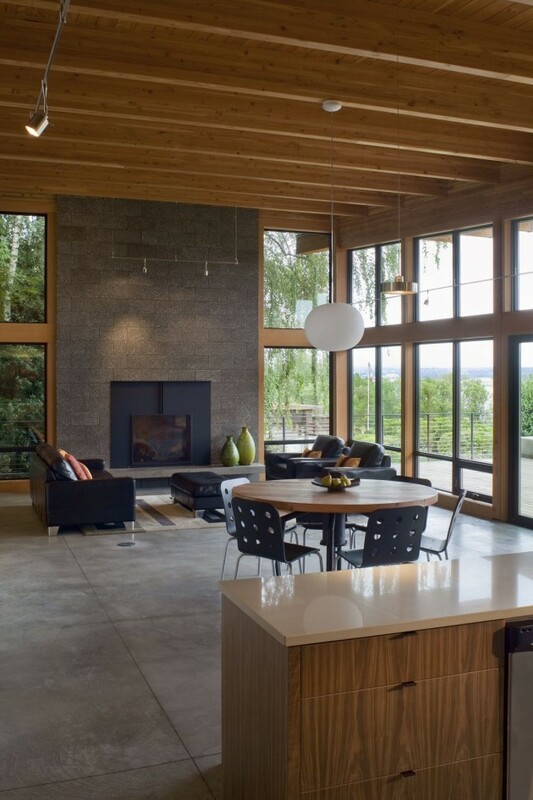 This home designed by Rick Berry of Scott|Edwards Architecture, rests on the banks of the Columbia river in Vancouver, Washington. 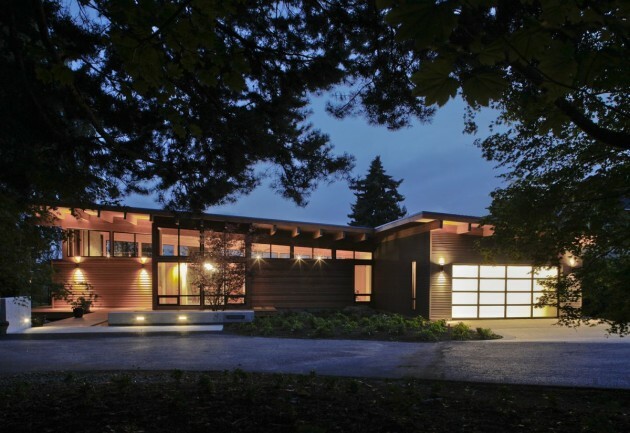 The home exemplifies a northwest contemporary vernacular in its 2,000sf. 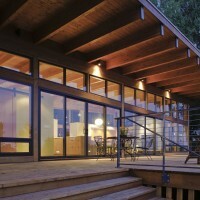 The one level home, built for a retired couple, was placed on the site to maximize the southern view to the river. 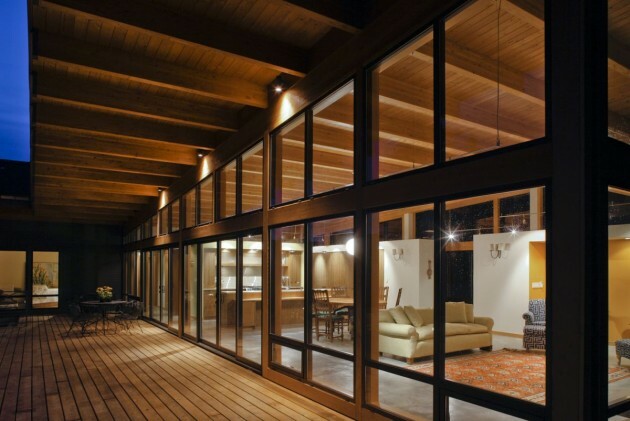 A large overhang creates a dynamic outdoor living room and creates enough overhang to shield the harsh rays of the sun from penetrating the interior of the home. 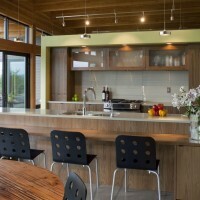 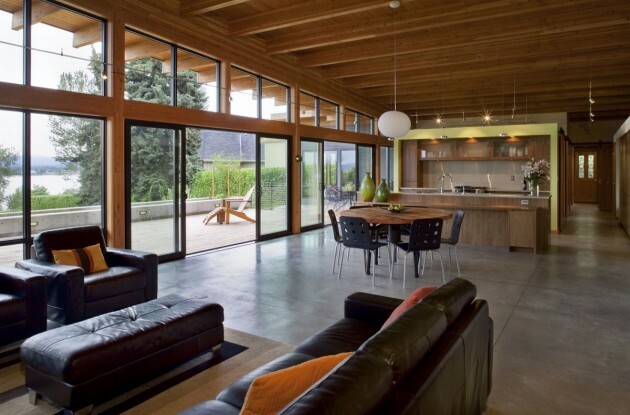 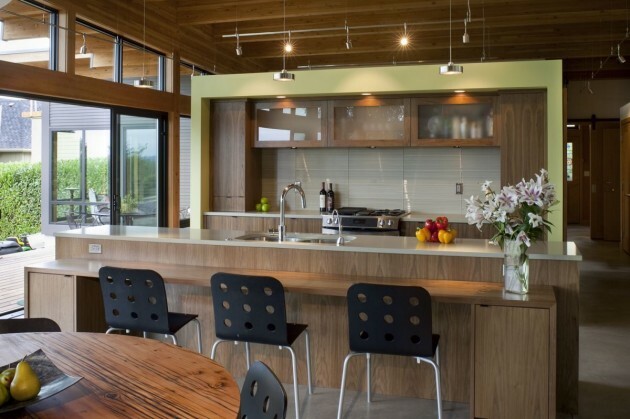 Radiant floor heating, exposed wood structure and walnut cabinetry create a contemporary, yet warm home.